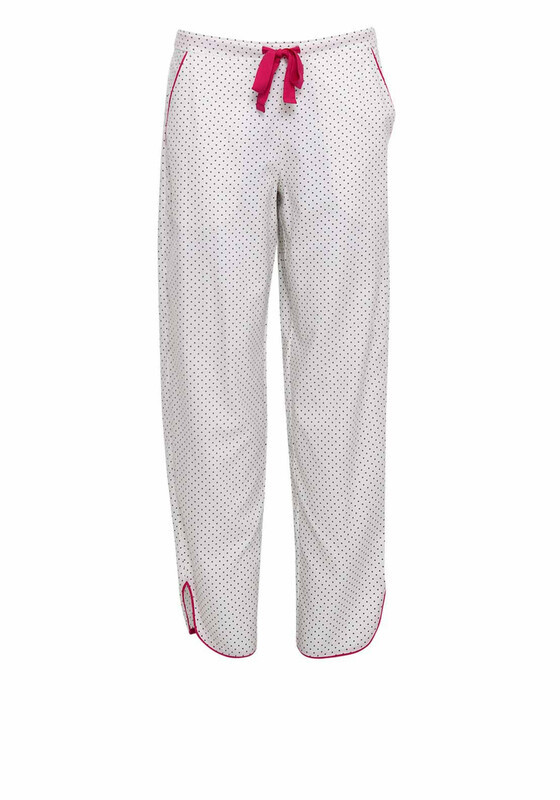 Cyberjammies present the Louise spot print pyjama bottoms in their gorgeous off white Colour. Styled with a contrasting grey print and hot pink piped pockets and a drawstring waist tie. Wear lounging with chunky knits or complete the look with the matching Pyjama top.